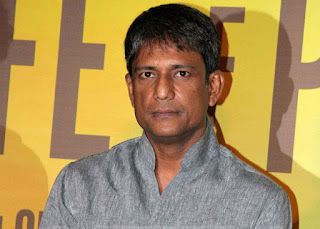 New Delhi, May 7 (PTI) He may have received two special mentions at the recently held National Awards, but according to actor Adil Hussain he still remains "underused" in films. "I have realised that the kind of rigour that I am used to while doing theatre is not demanded out of me in movies. my artistic thirst is not fulfilled at all," says Adil. Speaking on 'Theatre Beyond Borders', a lecture series organised by National Foundation for India (NFI) at India International Centre, the 'Mukti Bhawan' actor says he has decided to take a break from acting "in front of the camera for this year" to shift all his attention to theatre. "I want to get rid of this realistic acting for some time. I want to fly, and stage is one place where I am allowed to fly. Stage is this black background where you can create anything depending upon your skill, your wishes, your intent behind it and that is my plan till December," says the actor, whose next play is based on Hindu scripture 'Gita' where he will be seen playing both Krishna and Arjuna. The 53-year-old actor feels art is not properly funded in India and the discipline of arts should be considered more seriously. Talking about National Film Development Corporation (NFDC), Adil says it is sad that the central agency established to encourage high quality Indian cinema gets only Rs 30 crore per year for its funding. "It is unfortunate that NFDC gets only Rs 30 crore to make meaningful cinema for a population of 1.3 billion people. This is when they have to fight this monstrous market of commercial cinema which spends that much amount only to advertise one film. "So here you can understand the priorities of successive governments and we are paying the price for that," he rues. A strong believer in the "power of arts", Adil says the nation will need to spend way less money in defence if it "starts spending more in the field of arts". "If we spend money sincerely on arts...recognise all artists from all the disciplines and consider it as an important subject right from the primary school till college. Believe me, we will be spending way less money on our defence budget than what we are spending now," he says.